Boulder falls is a quick hike with big reward. 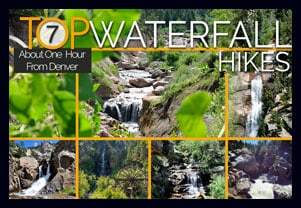 This 100 yard hiking trail just outside Boulder, Colorado leads you into a cliff lined notch in Boulder Canyon where the creek gushes out to form one of the best waterfalls near Denver. Since it’s not much of a hike, add one of the suggested hikes below to complete your hiking adventure. Boulder Falls reopened in June of 2018 and features repaired and widened trails as well as more durable and stable terrain. Boulder Falls is only about 70 feet high, but it’s really breathtaking. The combination of the tight canyon, giant ponderosa pines, and the pouring waterfall makes it a great place to take visiting friends and family. 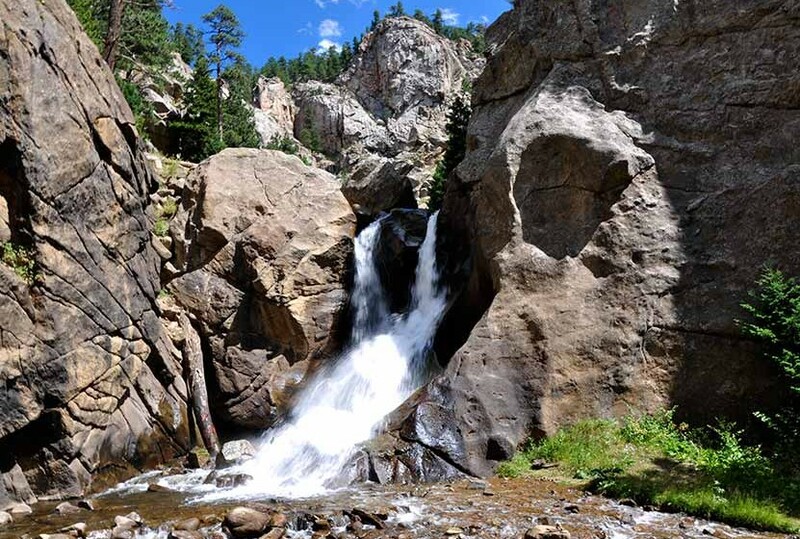 This may be the shortest Colorado hike you ever set out to explore; so, we recommend combining your visit to Boulder Falls with a hike at either Betasso Preserve, Mt. Sanitas, or Forsythe Canyon. Check for Closings: The Boulder Falls trail appears to need a lot of maintenance, especially after the winter thaw. It also gets a lot of foot traffic, so that’s probably a contributing factor. All that to say, be sure to check out Boulder’s trail area closures page for details before making the drive out to the falls. Seasonally closed from Nov. 1 to May 1 each year for trail maintenance. 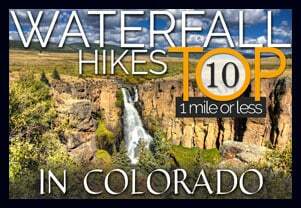 Narrow Trail: The trail to Boulder Falls is narrow and busy, so the best times to visit are early and around sunset. Busy Road: Take care in crossing the road: Parking is across the street from the waterfall, on a pretty tight canyon curve. Cars whip by fast. Leave Fido at Home: We love our dog and take her on many of our hikes, but this trail is so busy and rocky that it makes the trail difficult to navigate at times. Basically, it’s an easy way to make the hike more enjoyable for others who may not be up for getting clotheslined or their feet taken out from under them by a dog leash :). 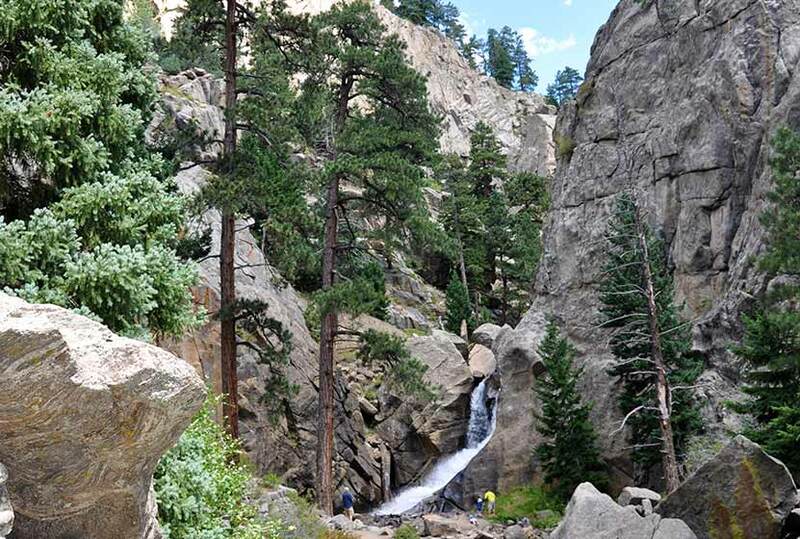 Don’t Climb: Hikers have been injured from trying to scale areas on and near Boulder Falls. Pay attention to the signage, it appears that there’s just a lot of loose rock along this short trail that can get easily get kicked loose. 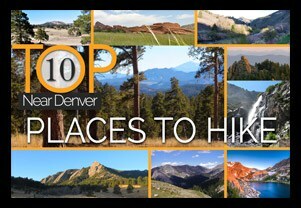 Next time I’m in Colorado I’m going to have to check out some of the hikes you recommend! I love the pictures, maps, and great info. Thanks so much for sharing it! Closed for season. They are doing rock fall mitigation. From what we could see the falls were really roaring this time of year. Trail took less than 5 minutes. Parking availability is about 15 cars or so. Big sign to let you know where the falls is, as there is no cell reception. Will be hikinhg these trails after May 1.